J Gershon Breast Imaging is a dedicated breast imaging center, specializing in digital mammography and breast ultrasound. Located in Avon, CT, the office provides a stress-free environment with a warm, friendly atmosphere. Care and concern is given to every patient during their exam. We utilize the most current, state-of-the-art equipment, including full-field digital mammography and high resolut​ion breast ultrasound. With over 20 years of experience in diagnostic radiology, Dr. Julie Gershon understands the anxiety often associated with mammography and breast imaging. At J Gershon Breast Imaging, every patient receives their results after personally meeting with Dr. Gershon. Our goal is to provide a unique, high-quality imaging experience with patient concerns and wishes in mind. 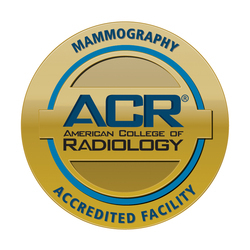 You have a choice in your care and we would be happy to be your new mammography center. If your prior images are located at another facility, let us know and we will obtain them prior to your appointment. We accept most insurance, excluding Medicaid. If you need to verify insurance coverage, we bill under the name "Invision Medical, LLC." Click the "Appointments" tab above to schedule your own appointment online, or feel free to give us a call to schedule or ask a question. We look forward to seeing you soon!